Vertically oriented images being viewed in FRV are needing to be manually rotated despite having auto-rotation on in my camera settings. I use a Nikon D7100. Please can you advise if this is an error or am I missing something in the preferences? 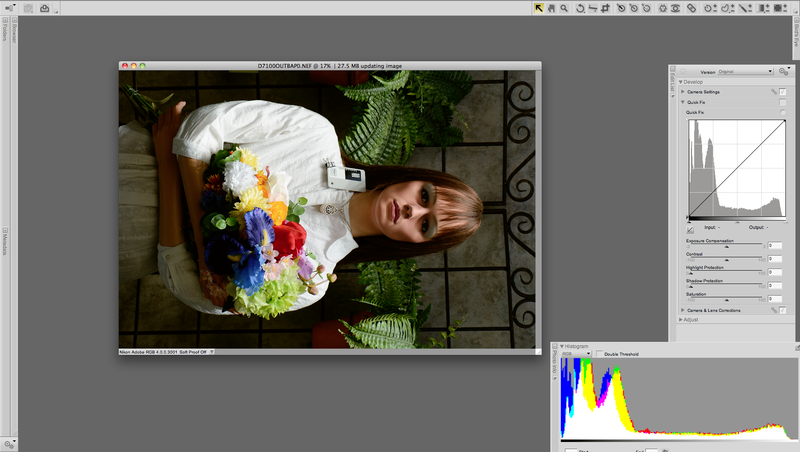 Both FastRawViewer and Adobe Camera Raw opens this image in Landscape orientation (this is, of course, not correct). I do not see any camera orientation informaton data (using Exiftool utility) that could be used to set right orientation. Could you please shot several paired shots in Landscape/Portrait orientation (keeping other camera settings the same), upload the files somewhere (Dropbox, Google, WeTransfer) and send the link to uploaded files to support@fastrawviewer.com for analysis? HI... I just took a series of test images and they loaded in FRV in the correct orientation! I'll check again next time I do a shoot but it looks like it has resolved itself. I probably had some setting incorrect. Thanks for your help!